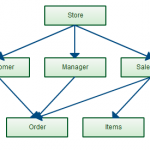 Database design illustrates a detailed data model of a database also known as the database schema. It shows the various tables that are in the system and the relationships between those tables. 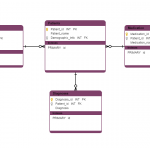 Before doing the actual database design you need to create the entity relationship diagrams. This enables you to visualize the relationships between different entities in the system and plan your database diagram accordingly. 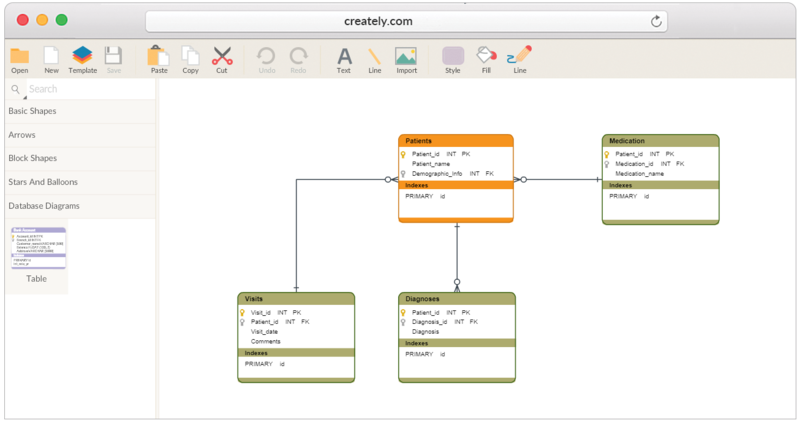 Creately supports creating entity relationship diagrams among many other diagram types. You simply need one tool for the whole process. Our text to draw feature makes it super easy to create database designs. You just type and we'll do the formatting and present it as a visually pleasing database schema. Our smart connectors adjust to the context and show you the viable relationships between two database objects. Our collaboration features enable you to create them together or instantly review your designs and give feedback. Simply put one of the best tools to create database diagrams online.